Leading Republican candidate responds to move to undermine his candidacy by party elites. UNITED STATES Republican front-runner Donald Trump warned yesterday of riots if he is denied the party’s presiden­tial nomination after a string of primary election victories, raising the temperature even more in a heated White House race. The outspoken billionaire New York businessman scored big wins in primaries in Flori­da, Illinois and North Carolina on Tuesday, knocking out ri­val Marco Rubio and bringing him closer to the 1,237 con­vention delegates he needs to win the nomination. 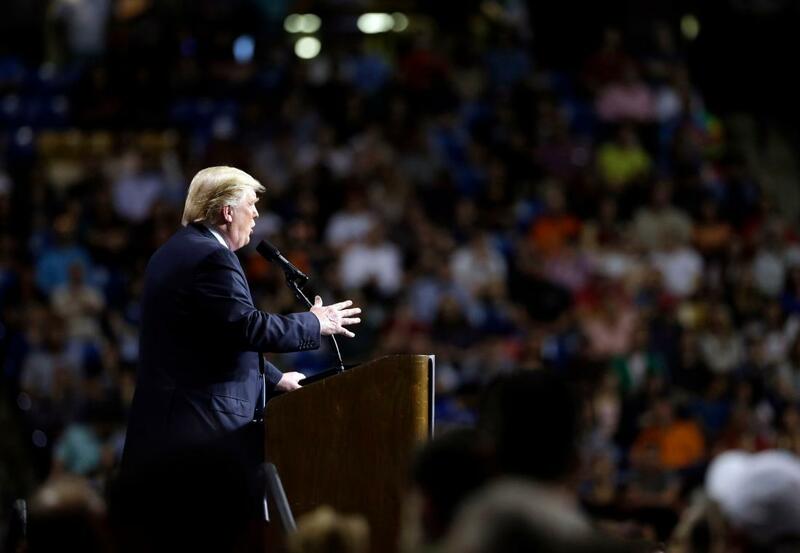 But Trump lost the crucial state of Ohio and left the door open for those in the party try­ing to stop him from becom­ing the Republican nominee for the Nov. 8 election. Trump might fall short of the majority required, enabling the party’s establishment to put forward another name at the July con­vention in Cleveland to for­mally pick its candidate. While the Republican race became mired deeper in tur­moil, Hillary Clinton won vic­tories in Florida, Illinois, Ohio and North Carolina on Tues­day that cast doubt on Sena­tor Bernie Sanders’ ability to overtake her for the Demo­cratic Party’s nomination. Republican Party leaders are appalled at Trump’s in­cendiary rhetoric and believe his policy positions are out of step with core Republican sentiment, such as his vow to deport 11 million illegal immigrants, temporarily ban Muslims from the United States and build a wall along the border with Mexico. Recent outbreaks of vio­lence at Trump rallies have prompted President Barack Obama, a Democrat, and mainstream Republican fig­ures to speak out against the real estate magnate. In com­ments likely to raise more con­cern in the Republican estab­lishment about Trump’s lack of experience and tempera­ment, the former reality TV show host said yesterday he was for the most part his own adviser on foreign affairs. “I’m speaking with my­self, number one, because I have a very good brain,” he told MSNBC’s “Morning Joe” show. “I know what I’m doing… My primary consultant is myself.” Trump also pulled out of the next televised Re­publican presidential debate, scheduled for Monday.